Carlos Berna from Colombia clean & jerking a ton of weight like a boss at 56kg/123lbs bodyweight. Got to train with some of the men from the Colombian national team last week after the seminar. It’s been fun chatting with each of the nations and learning how their system approaches the sport. Here, in Colombia, weightlifters are sponsored and supported by their government. So literally, weightlifting is their jobs and they are at work lifting twice a day. They use a Bulgarian approach to how they train with some slight modifications to meet the needs of the athletes. And that wraps it up for Latin America! This group had such great questions today. It was so much fun opening up discussion to talk about weightlifting in different contexts. 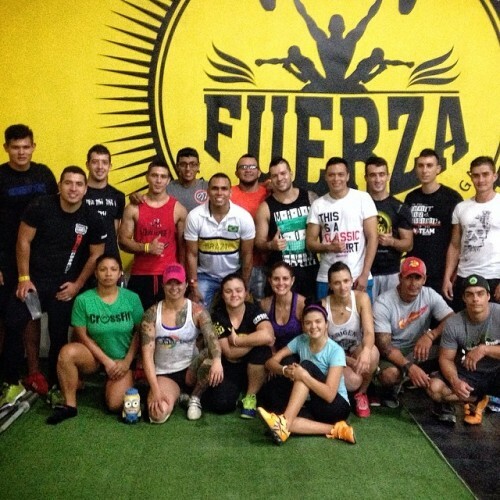 Thank you @fuerzacrossfit for hosting such a great event today. Off now to lift with some boys from the Colombian weightlifting team.